The bill, HB 409, says individuals who are eligible to have their driving test waived would still have to complete a driver education course. According to White, the bill would require teens to take the driving test, but instead it would be administered by their parents. His hope is that by returning to the original law, wait times would be shortened at Department of Public Safety Offices. 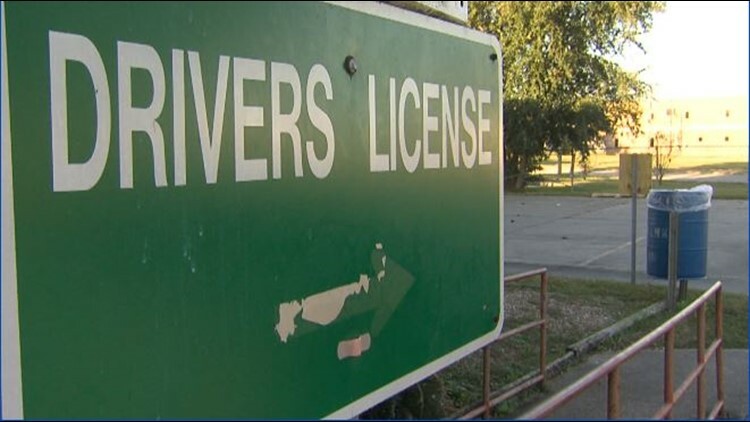 The bill, HB 409, says individuals who are eligible to have their driving test waived would still have to complete a driver education course. The course consists of 32 hours of classroom instruction and 44 hours combined behind-the-wheel and in-car observation. Port Neches mother of four Heather Norris hopes the bill doesn't go into effect. "It'd be scarier than it already is to have them out there with more people that don't know how to drive," Norris said. Norris is in the process of teaching her 15 and 16-year-old's how to drive. She said there's comfort in knowing the teens will have to go through someone properly trained to test them. "I love my kids, but I like the fact that in the end they're going down they're going to take that test, because they're going to see stuff that I don't see because I am their parent," Norris said. Heather also worries parents not equipped to teach their kids will teach them bad habits. Owner of Triangle Driving in Beaumont Stephen Comer has been teaching kids to drive for about 30 years. They teach four-five hundred kids how to drive every year. Comer remembers what it was like prior to 2009 when teens weren't required to take a state administered test. "I think it was just really bad back then," Comer said. At Triangle driving they teach drivers ed to teens 15-18-years-old. They also teach an adult driving class, and administer the driving test. Comer said their required to go through training to be able to administer the test that equips them for the task. "A lot of parent's don't keep up with all the rules of the road and the new laws that have come into effect and everything else, and they just don't know them so I kind of feel like it's a disadvantage to these students," Comer said. Comer said he sees no advantages to the bill. He feels it will be more of a hindrance and cause more problems than there already are. Norris agrees, and worries what may happen if it goes into effect. "I don't want to be the one responsible that tells them okay, you're good to go, because I mean, the accident rate alone is going to shoot through the roof," Norris said.